Our monthly award for June 2017 has gone to Bluebird Care, for their beautifully refurbished basement at Hibernian House, Henry Street. 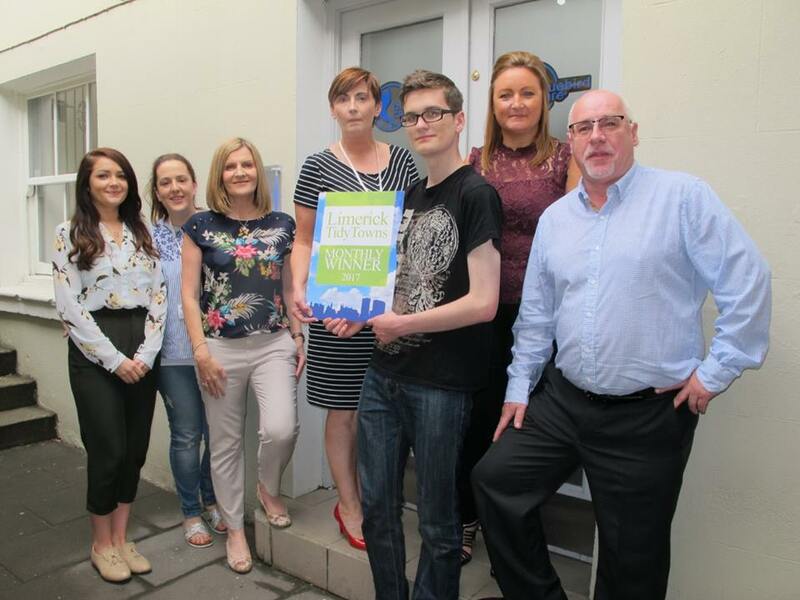 Pictured outside the premises being presented with the award by Peter Jewell of our Youth Division and Maura are Gerard Hartnett, Paula McInerney, Aoife O’Neill, Louise Collins and Sinead Gohery of Bluebird Care. As can be seen from our signs erected on a number of particularly bad basements in the city, we are currently running a campaign to draw attention to basements we can’t get access to clean, which we feel are a huge blight in parts of Georgian Limerick. In order to counteract this, we have selected a basement as our June award winner to highlight just how wonderful these premises can look when reclaimed and refurbished, and the property options they offer to Limerick as a whole, for both business and residential use. Indeed, this particular basement is one that we spent many hours cleaning in the past before it was refurbished, as can be seen in the attached photograph, so it’s particularly rewarding to see how beautifully it has been restored, both inside and out for Bluebird Care’s Limerick office. Bluebird Care is the sixth Limerick City Tidy Towns winner for 2017, following Enzo’s in May, Billy Higgins Clothing in April, No 1 Pery Square in March, Casey’s Londis Mount Kennett in February and Narrative 4 in January, and all monthly winners will be in with the chance of winning the overall prize for 2017 at the annual Tidy Towns event to be held early in 2018. 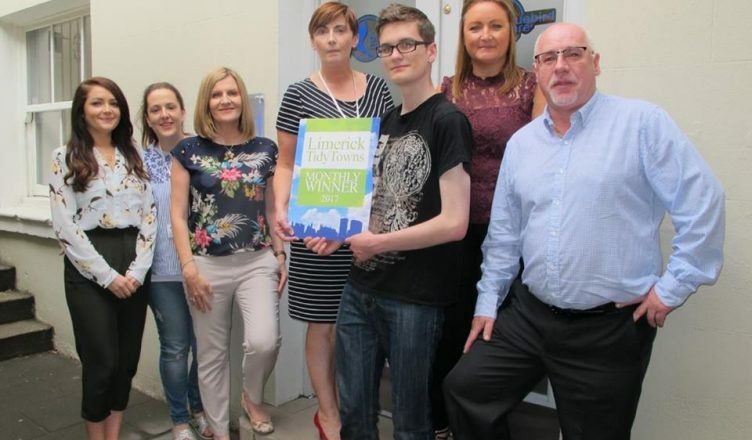 Limerick City Tidy Towns would like to thank Katie Glavin from I Love Limerick for taking the photographs for this and all of their monthly awards.